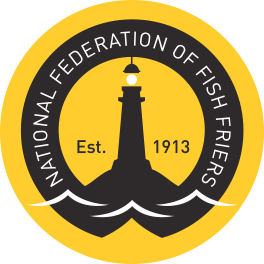 Andrew Marriott, UK Brand and Marketing Manager for award sponsor Frymax, the leading all-vegetable frying fat for the fish and chip trade, added: "The future of our trade relies on top quality, and highly motivated, fish and chip businesses. This year’s three finalists all feature unique approaches to running their respective businesses and are bringing new ideas to the fish and chip trade – each would be a worthy overall winner of this award category. A rewarding aspect of our involvement as a sponsor of this award category, is to see new talented businesses that are passionately driven to produce great tasting fish and chips for their customers. We wish all three finalists the best of luck in the next round of judging and hope they will enjoy many years of success in our trade."